Weighty Matters: Can a doctor fairly withhold a "secret" weight loss formula? Can a doctor fairly withhold a "secret" weight loss formula? I imagine not many folks outside of Canada, or potentially outside of Globe and Mail readership, are following the lawsuit of Dr. Stanley K. Bernstein vs. Dr. Scott Seagrist. Short version of the suit is that Dr. Seagrist once worked for/with diet MD Dr. Bernstein, and then branched out on his own, and according to Dr. Bernstein's team, benefited by using Dr. Bernstein's "secret formula" of dieting techniques. "the “totality” of his (Dr. Bernstein's) treatments is unique and similar to a secret formula or trade secret." That leads me to wonder, were a physician to learn of a "secret formulas" or "trade secrets" as would pertain to the treatment plan for an established medical condition, would it be ethical for them to withhold that treatment from their patients? Do doctors not have an absolute obligation to deliver care to the best of their knowledge and ability? Obesity is a medical condition that affects literally millions of Canadians. It causes co-morbidity, shortens lifespan and impairs quality of life and certainly is often a very difficult challenge to treat for the medical profession as a whole. Without going into the issues of whether or not I believe a "formula" for weight loss is even theoretically possible given the complex and myriad causes of obesity, were Dr. Seagrist aware of a treatment modality that he believed to be beneficial in the management of his patients' obesity, could he fairly withhold it from them? Remember, we're not talking about the breach of a patent here, we're talking about a treatment plan. Could a physician ethically withhold treatment because they learned the methods involved in that treatment from another physician? Is there any treatment in medicine that isn't learned that way? "See one. Do one. Teach one." "See one. Do one. Never breath a word of this to anyone." 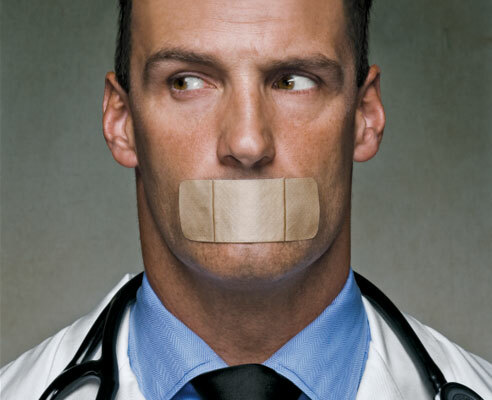 "Trade secrets" in medical care seem anathema to patient-centered medicine. Here's hoping the courts don't deem there to be "secret formulas" in medicine, as that sort of precedent could set us off on a very slippery slope where you might find yourself one day not receiving the best possible care from your doctor because he or she didn't pay their teachers a licensing fee.